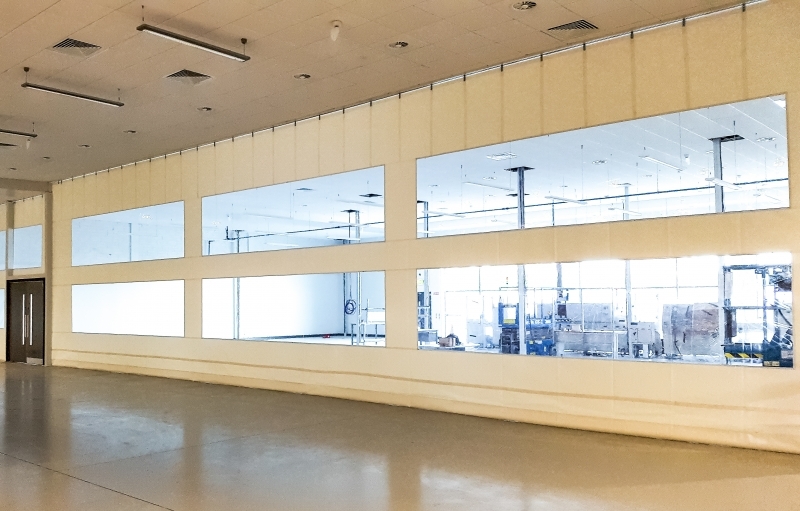 At Cunningham, our factory partitions are a fast and easy solution to divide walls in large buildings and make better use of your factory space. Our relocatable partitioning methods are high quality and durable yet much more cost effective than traditional partition methods. 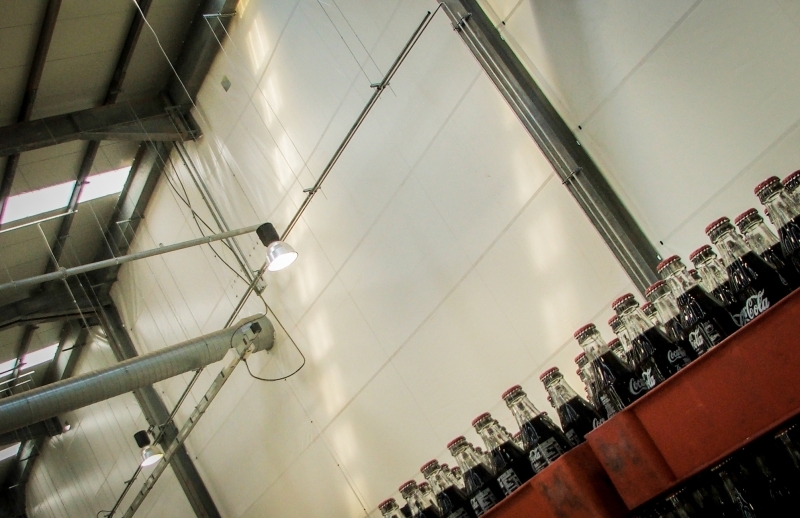 We have provided factory partition solutions for a wide range of industries including construction, pharmaceutical, food and drink processing and manufacturing. 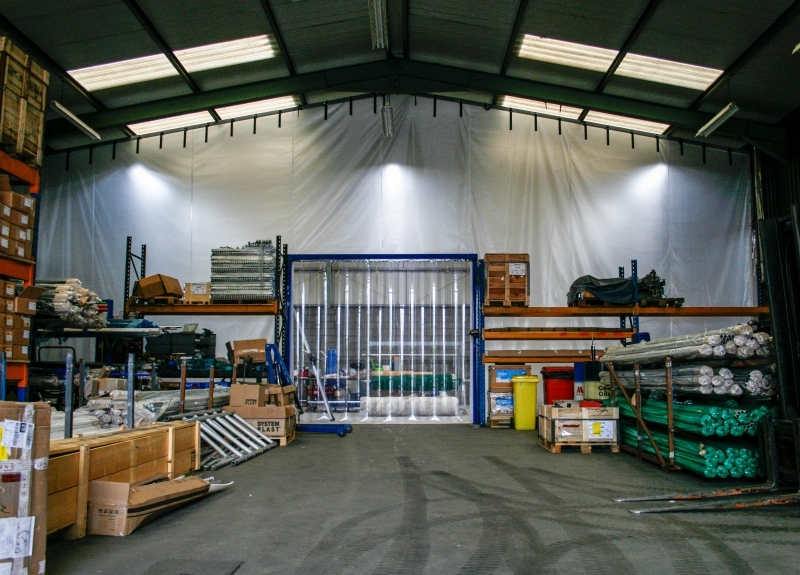 Our factory partitioning is always tailored to your specific requirements and made to measure. Our quality factory partitions are made from the most heavy-duty materials that can withstand even the most demanding factory environments. Safety is always at the core of Cunningham Covers which is why we use flexible flame-retardant polyester PVC. The Cunningham factory partition is an ideal solution that can turn a large-scale building into a smaller, more controlled environment with huge heating and acoustic benefits for your organisation. The excellent thermal properties of this PVC product make it effective in controlling the temperature of your environment. This can reduce the cost of expensive energy bills by confining the heat to where it is needed in the factory. 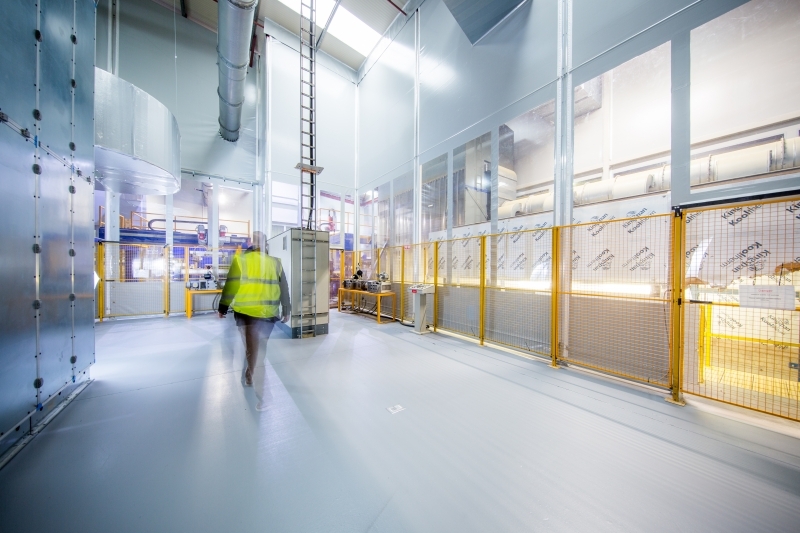 Factory Partitioning also helps to protect from dust contamination, by sectioning off a smaller part of your factory, creating a clean and safe working environment. You can fit our single skin flexible partitions to any factory with unique fixing methods. These PVC dividers will be supplied to your company in kit form so you can fit in-house. Once our engineers design your solution, our experienced fabricators get to work and manufacture your bespoke PVC dividers. We can fit our flexible solutions in and around awkward machinery and to the exact shape of your building, ensuring we cover gaps or any areas where dust or draughts can get in or out. Care is taken by our experienced staff to ensure we produce your cover to your exact specifications set out upon order. 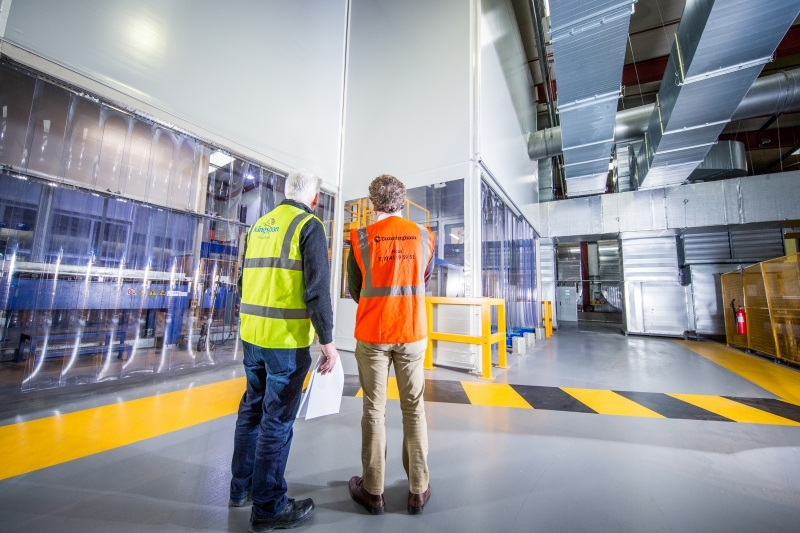 We have experience in creating factory partitions for a variety of industrial issues, always creating solutions that will give your factory a safe and productive working environment. Our knowledgeable technical staff will help you at every step of your journey, ensuring all your factory’s needs are met. No matter what the problem is, we will happily talk through the issue and find a solution. If you have a similar issue or indeed if this solution would work for you, just submit an enquiry and we'll get right back to you with a quote. Or give us call on 028 7964 2638 or 004428 7964 2638 from outside the UK. 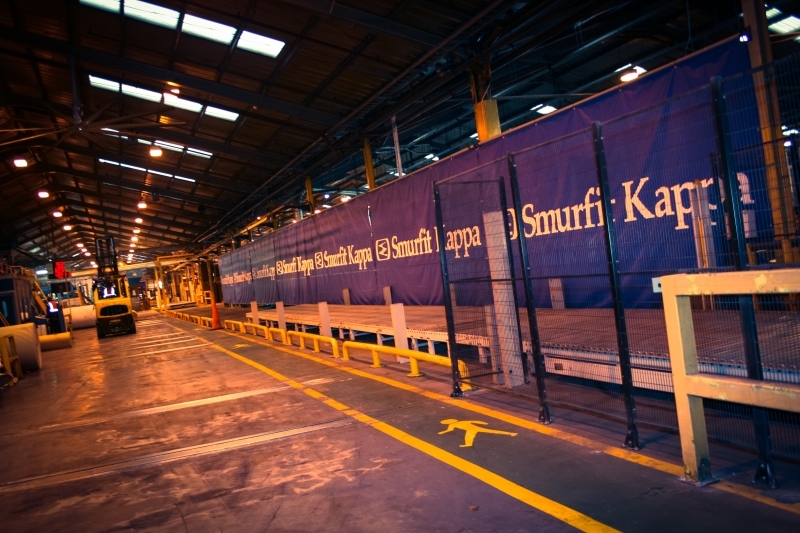 These loading bay curtains were made to measure so that a protective environment was created yet enables total access and flexibility on space. Manufactured in 900g PVC with clear windows for safety, these curtains slide back and forth in separate sections, allowing different access points.